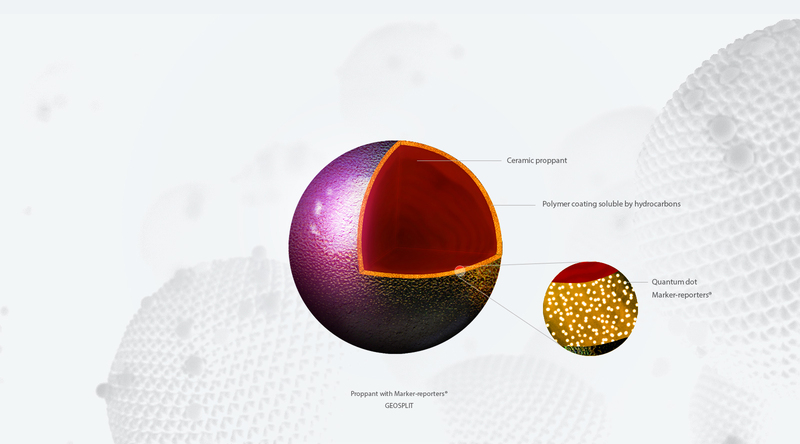 The important part of GEOSPLIT® technology is the synthesis of combinations of marker-reporters® created from quantum dots, stabilized by a polymer shell. Quantum dots are the nanocrystals of 2-10 nanometers in size, obtained by colloidal synthesis and coated with a layer of adsorbed surface-active molecules. 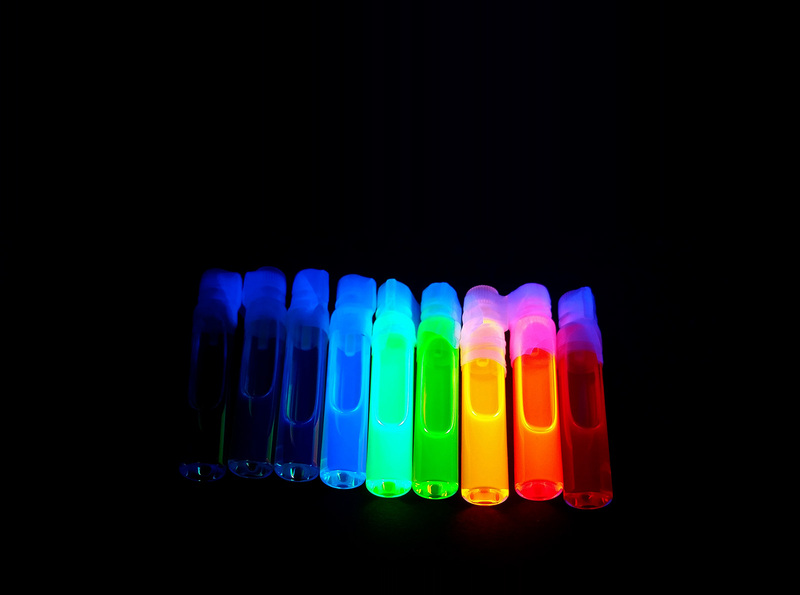 The quantum dots, obtained by the method of colloidal synthesis based on cadmium chalcogenides, fluoresce in different areas of the electromagnetic spectrum, depending on their size. Marker-reporters®, created from quantum dots, have a unique ability to absorb energy over a wide range of spectra and emit a narrow spectrum of light waves. The fluorescence intensity of quantum dots is 10-20 times higher, than that of organic fluorophore dyes used in tracer diagnostics. The quantum dots are more chemically stable than natural fluorophors because of their chemical composition, which reduces the photobleaching effect compared to organic dyes, and is able to withstand the effects of acids and high temperatures. The use of quantum dots in GEOSPLIT® technology is due to the large number of possible combinations in the synthesis of markers-reporters (more than 60) called signatures. Each step or the interval uses its own unique signature, which allows excluding the errors in interpretation, and also meets the modern requirements of multistage hydraulic fracturing, which includes 30 or more stages. Various types and combinations of marker-reporters® of several microns in size are introduced into the polymer coating of proppant, which gradually degrades upon contact with oil and water.